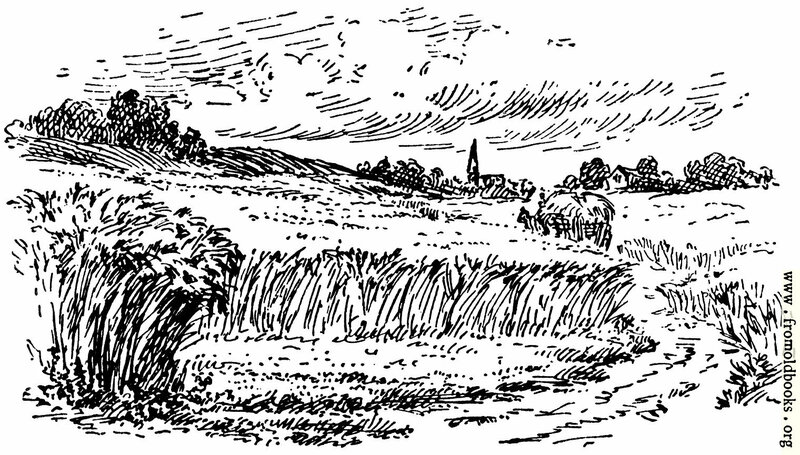 The field, with wheat ready to be harvested, and a rather English-looking church spire in the background. Taken from the clip-art Bible. See page 69 for the context.